A sidebar in WordPress is referred to a widget-ready area used by WordPress themes to display information that is not a part of the main content. It is not always a vertical column on the side. It can be a horizontal rectangle below or above the content area, footer, header, or any where in the theme. The usage of sidebars varies and depends on the choices of the theme designer. Many WordPress themes support multiple sidebars also known as widget ready areas. 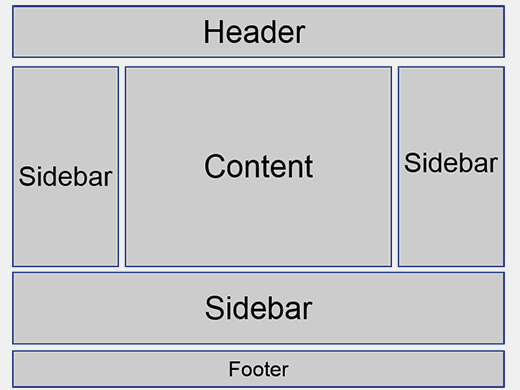 Sidebars play an important role in designing the layout of a WordPress website to display content other than the main articles of a website. For example, a short list of recent articles, recent comments, a list of pages, or popular articles on a website can easily be displayed across the entire site. It can also be used to display advertisements from third-party websites. Users can drag and drop items into sidebars from Appearance » Widgets in the admin panel. Some WordPress themes come with highly configurable options to create dynamic layouts for different sections of a website, which allow users to add their own sidebars from a drag and drop interface.